Today was Day #2 of Chocolate, Brittle and Bark Theme Week. 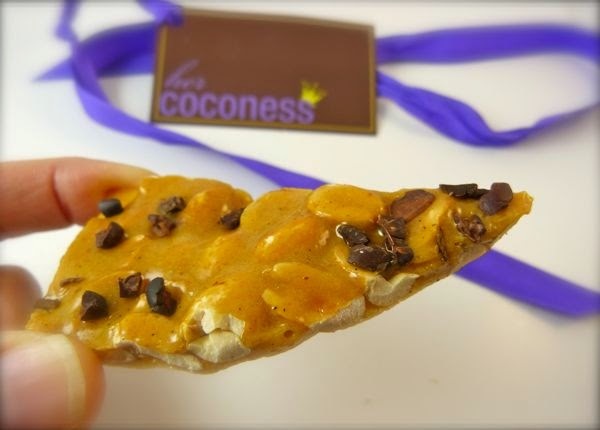 Perhaps the most well-known brittle in the U.S. is peanut brittle. 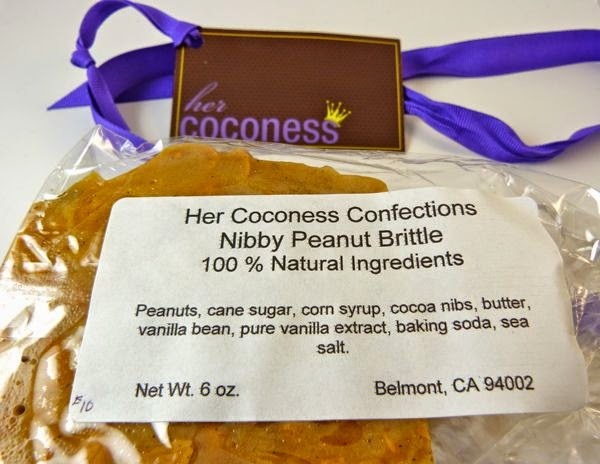 Shelley Seward, Her Coconess Confections (Belmont, CA), has added her own twist to this perennial favorite -- a sprinkling of cocoa nibs on her Nibby Peanut Brittle. These dark bits carry the essence of chocolate flavor, without the sugar. 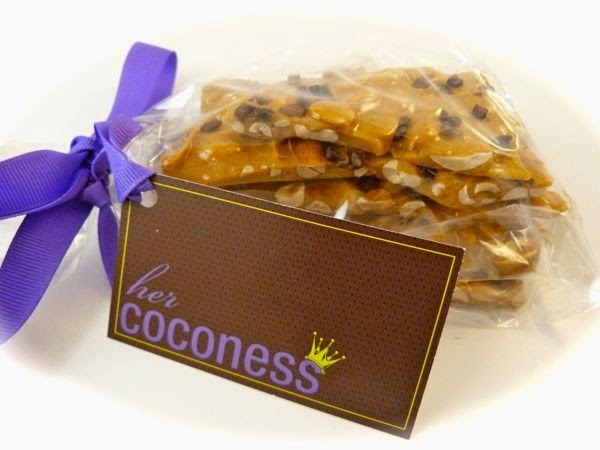 This is fine, as there is plenty of sweetness already in this rich, golden brittle. A dab of butter, vanilla bean and sea salt added to this peanuty, crunchy confection make for a great offering.